Motivation and Confidence - Ep. 1 Setting Goals - simple steps to setting and attaining goals. No filler and no fluff. Straight to the point to help you be motivated and confident to doing your daily best. 00:01 Speaker 1: Alright, everybody worldwide, you're now tuned into Motivation & Confidence, I'm your host, Tom Danger, where we help you do your daily best. In this week, we're gonna talk about... What are we gonna talk about? I'm gonna talk ... See More about... Wait, let's take a step back. Why did I start this podcast? Couple reasons. The biggest reason is because I enjoy helping people, that's the first reason. I think the second reason is because I think I myself need help, help in the sense of guidance and always being a better person. And that is the goal of this podcast, to help you be a better person, to get you motivated, and to make sure that you are confident to achieve the goals that you set out to do. 01:03 S1: For myself, just a little background, I've done... Started out as a hip-hop artist, I've done several mixtapes, Tommy Danger The Now and Later Man. Probably released about 13 projects, two DVDs and produced and hosted a TV show called Danger Vision on Public Access, YouTube channel Tommy Danger, over 300 videos, etcetera. Everything has been done two-man team, my wife, and I, shout out to Grace Brown who has helped me put together this podcast and several ideas. And this is where we are today, I think if I didn't do the mixtape stuff, I wouldn't have the technical background or the strategy of how to move on and offline which basically enabled me to do this. 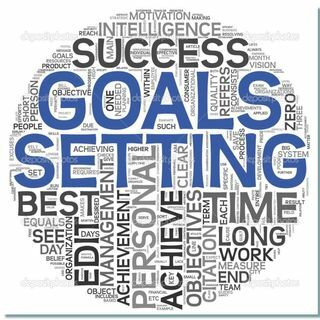 02:02 S1: So with that being said, this week's topic is setting goals, because I'm a firm believer in not only setting goals, but once you set a goal, how do you take the necessary steps to accomplish that goal? And I remember, years ago, reading a book by Stephen Covey, The Seven Habits of Highly Effective People, and one thing that sticks out in my mind is beginning with the end in mind. So you always want to start at the end, visualize in your mind what the goal looks like. I mean, actually, take it to a place where you close your eyes and you already see yourself in that place, the place of what it looks like and what it feels like. You actually wanna visualize yourself being in that place, whatever that goal is. Whether that goal is a healthier body, a calmer mind, whether it be getting a job, finishing school, creating a podcast, doing videos, just really looking at the things that you are passionate about and how you go about doing so. What do you do? 03:34 S1: So I mean, I can give you an example sort of like with this podcast, I've done several podcasts before, I've done music reviews, I have a relationship podcast with my wife, it's called Tommy and Grace, you can find that online, iTunes, etcetera. Shameless plug, but it's fine. But I always just look at the things that I love doing and I write them down. And in addition to writing them down, you should always give yourself a certain timeline to accomplish these things. Now, it's not gonna be easy, there's gonna be a bunch of things going on in life and the hardest part is gonna get started, the hardest part is gonna be getting started. But once you get started and if you and when you dedicate X amount of time daily to that goal, you will attain it.